We invite you to experience Aurora and enjoy the varied activities and amenities available in the community. The recreational and educational activities in and around Aurora will provide entertainment and excitement for all ages. Eric Melcher was officially appointed City Administrator for the City of Aurora in June 2015. Four years prior to that he was the Public Works Director, Zoning Administrator and Floodplain Manager prior to that Eric’s responsibilities included the utilities as Utility Superintendent as well as Zoning Administrator and Floodplain Manager for the City of Aurora. Although, Eric began his tenure with the City of Aurora as Foreman of the Water and Sewer Department in 1998 after 16 years of public service in another community as Utility Superintendent beginning in April of 1983. 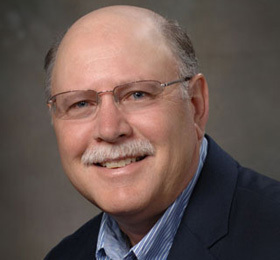 He was appointed Chairman of the Steering Committee to initiate the development of Nebraska Water/Wastewater Agency Response Network (NEWARN) “Communities Helping Communities during and after Natural Disasters” and was eventually elected President of NEWARN from 2009 – 2015, was Nebraska Section Waterworks Association (NSAWWA) Trustee for 3 years, Treasurer for 2 years and elected President in 2017, was Nebraska Planning and Zoning Association South Central District President 2016 – 2017 following his appointment as a board member. Appointed to the Board of Directors of the Nebraska Diggers Hotline of Nebraska in 2004 to present. Eric received several awards throughout his tenure (36 years) in Community Service for his leadership, career skills, dedication and commitment. Eric is a Member of St. Mary’s Catholic Church in Aurora. He and his wife Brenda have five grown children, Jaysen and Amy of Genoa NE, Janniffer of Bennington NE, Janelle and Chris of Lincoln NE, Justin and Allison of Bennington NE, Jared and Emily of Grand Island NE and nine grandchildren. 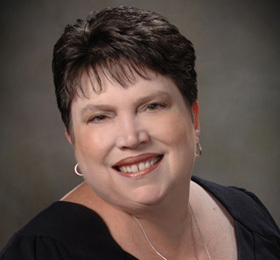 Drawing on over 18 years experience working for the City of Aurora, Barbra Mikkelsen is the City Clerk and Treasurer. In her position, Barbra is responsible for preparation and maintenance of official municipal records; communication and interpretation of policies and procedures; and management and development of personnel in the Clerk and Utility Office. Barbra also assists the City Administrator with related management decisions; acts as custodian for all city funds; prepares the internal budget forms and assists the City Administrator and Auditors with the development, preparation, filing and processing of the budget. Barbra’s career with the city of Aurora began in 1993 as a Part time Utility Billing and Accounting Clerk. She began working full time and in 1995 was appointed to the position of Deputy Clerk. In 2000, she became a Certified Municipal Clerk and was appointed to Clerk/Treasurer. Barbra graduated from Hastings College with a Bachelor of Arts Degree in Business Administration with an emphasis in Accounting.